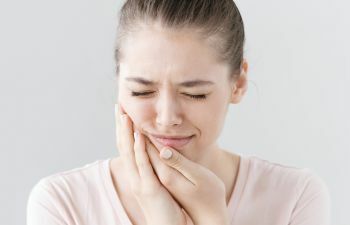 A pang of discomfort, a zing of pain, a sharp twinge in your mouth – all of these are common symptoms of sensitive teeth. Sensitive teeth are most frequently caused by receding gums, exposing the sensitive dentin layer of the teeth. Tooth sensitivity is felt after eating or drinking something cold, hot, sweet, or sour. Often times, a quick intake of cold air can also cause sensitive teeth to react. 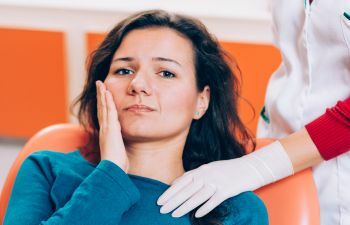 While tooth sensitivity is a common dental issue, it is important to bring up your sensitive teeth with your dentist to treat any issue or to prevent severe dental issues from developing. The dentin layer of the teeth is enclosed in the gum line. This soft dentin layer makes up the inner part and roots of the teeth, which have thousands of tiny tubules that lead to the tooth’s nerve center, known as the pulp. These tiny tubules are what give the jolt of pain or discomfort when temperature changes touch the teeth. Receding gums are generally caused by brushing too harshly against the gum line. With minor tweaks in your brushing habits your gums can actually reverse their regression. By making sure you are using a soft bristled toothbrush with circular brush strokes, you can prevent and begin to reverse receding gums. For the interim, toothpaste that is specifically designed for sensitive teeth can be highly effective. This toothpaste has desensitizing ingredients that block the twinges of pain while eating and drinking. 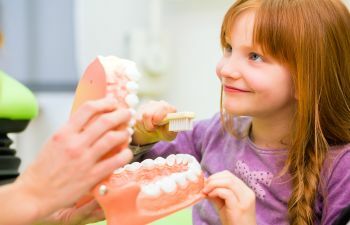 At Muccioli Dental, all of your dental concerns are important to us. 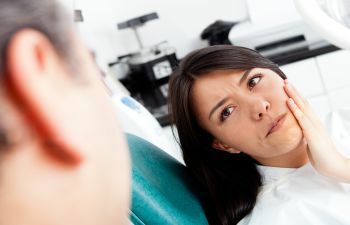 While most tooth sensitivity is caused by the gums receding, there are also other more problematic issues that need to be ruled out or treated accordingly. 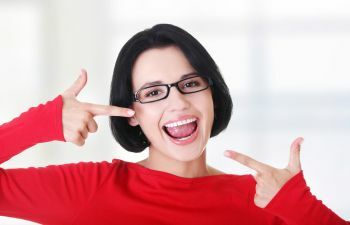 If you are suffering from sensitive teeth and are looking for a dental practice to trust in Johns Creek, please contact Muccioli Dental today. We are family dental practice that has the experience, expertise, and personalized care that you deserve. We look forward to serving you.